Well, it took us a week to finally get our act together enough to have the birthday party we had planned for the puppies. Lael asked me pretty much every day over the past week if we were having the party today……ok how about today? Is today the day for the party??? OK, finally – we did it. 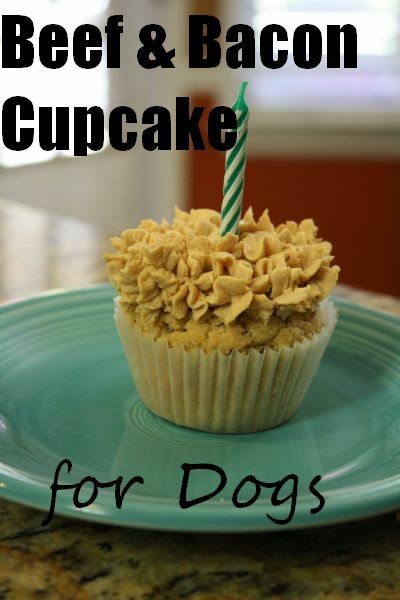 I had pinned a bunch of recipes for dog birthday cakes on Pinterest while I was planning the party. I finally decided on the Bow Wow Beef and Bacon Cupcakes from Love to Know Dogs. Here is the recipe. Mix the dry ingredients with the wet mix, and then stir in the bacon. Pour into cupcake wrappers or a greased and floured muffin pan. Bake in a 350 degree F oven for approximately 20-25 minutes, or until done. Oven times may vary. To make icing, mix peanut butter and cream cheese together. Put mixture into icing tube and squeeze out flower shapes on top of cupcakes. 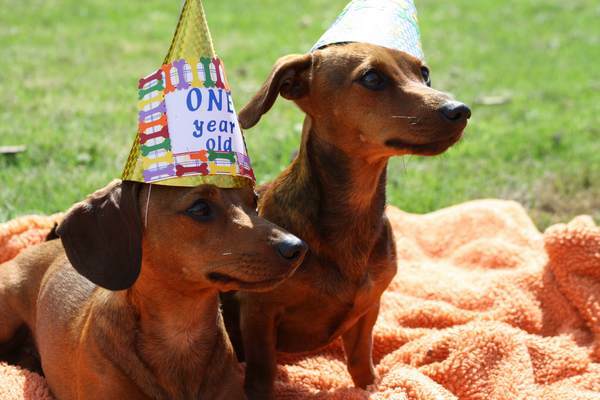 We started off the party by making the puppies pose in the birthday hats that Lael and I made for them. Emma didn’t seem to mind the hat much, but Lily hated it. She kept shaking her head and pawing at it. I did manage to get a few pictures of them in the hats. Todd thought it was beyond silly – dogs wearing birthday hats, Ha! Next step in the party timeline was to open the birthday gifts! Well, turns out that puppies are not that interested in opening presents. I didn’t really expect them to open all the gifts, but once Emma got into the package with the rawhide chew sticks she was DONE! 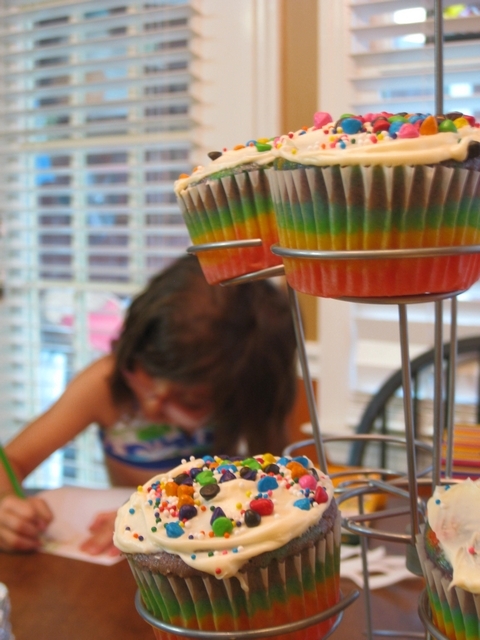 Finally, it was time to let them eat their birthday cupcakes. It was really really hard for them to resist diving in while I took the time to snap a few photos!